Fuzhou Vanke City and Chongqing Dongyuan 1891 are two residential projects in China by international landscape architecture firm SWA. 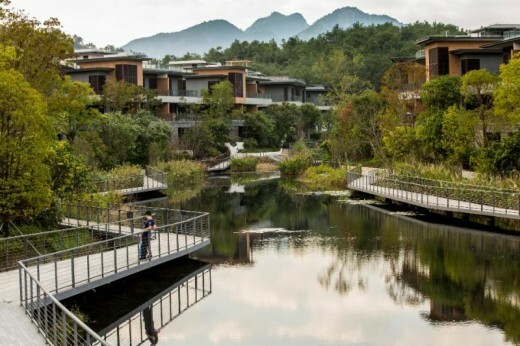 Fuzhou Vanke City: The Yongtai project, located inside the Red Cliff Scenic Area, borders the Dazhang River and consists of a 45-hectare watershed area surrounded by 12 small hills. The overall project plan calls for housing clusters that follow the natural site topography and incorporates a central lake that is preserved and leveraged as a public space, unifying the entire site. 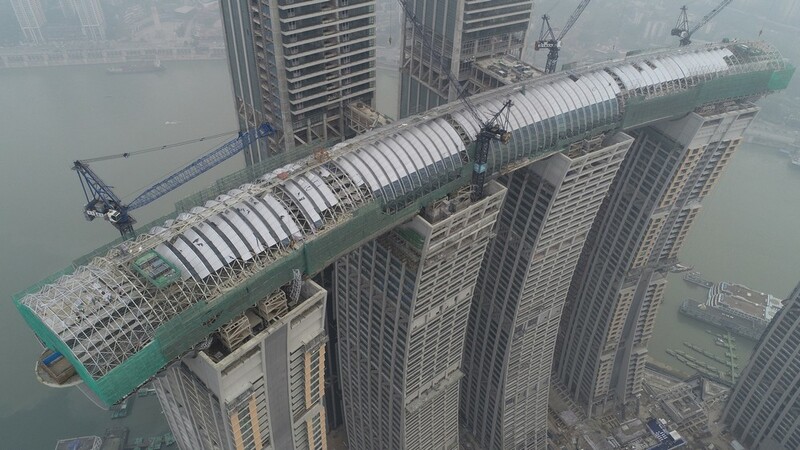 It features a boutique hotel, a shopping street, clubhouses, residential high-rises, townhouses, and detached homes. Chongqing Dongyuan 1891: This unique linear site is sandwiched between the Yangtze River and Nan Mountain. 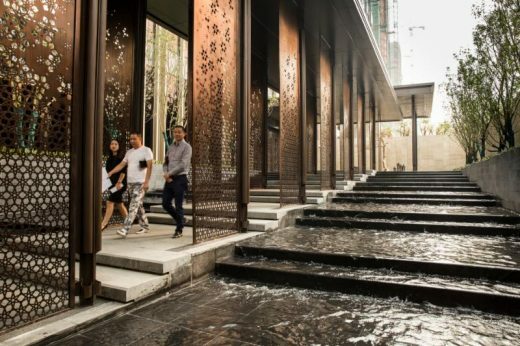 The design concept is to create the experience of Shangri-La in an urban center with a series of courtyards offering different experiences inspired by the surrounding landscape. Separate spaces are connected by various water features including a bubble pool, waterfall wall, cascading steps, and Zen infinity pool. 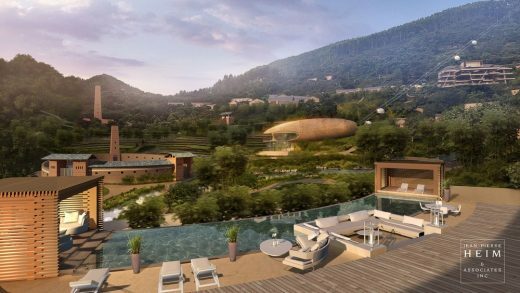 The landscape aims to not only incorporate the Yangtze River and natural scenery of Nan Mountain, but also to help people to find inner peace in this urban refuge.